Preparation Methods & Dosage :Most often found as tablets and extracts, Cascara bark tea has a gentler laxative action, but is bitter. Cascara Sagrada Side Effects: Do not use this product if you have abdominal pain or diarrhea. Consult a health care provider prior to use if you are pregnant or nursing a baby. Not recommended for children under 12. 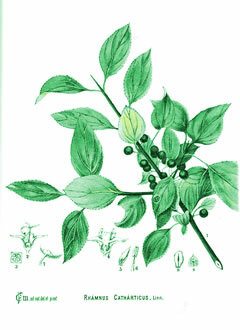 Unlike buckthorn, cascara sagrada is not known to be safe for pregnant women and nursing mothers. Discontinue use in the event of diarrhea or watery stools. Do not exceed recommended dose. Not for long-term use. Take with adequate fluids. Not for use by persons that have appendicitis, Crohn's disease, or ulcerative colitis. If you experience cramping, reduce the dosage. If the bark is not aged it is a purgative and will cause intense intestinal spasms and vomiting. Although no major side effects are known, chronic use can lead to electrolyte loss, especially of potassium. All variants of this berry-bearing tree belong to the buckthorn family, the most preferred in plant medicine is cascara sagrada which grows in the Pacific Northwest. All have one therapeutic use as a very strong laxative. 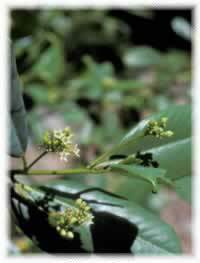 Named "sacred bark" by early Spanish explorers in America. 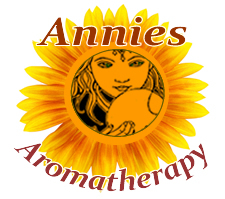 As with other laxative herbs, the anthraglycosides are primarily responsible for the herb's actions. Cascarosides A and B act upon the large intestine to induce peristalsis and evacuation. The laxative effect is felt within six to eight hours of administration.